What is a psychopath? 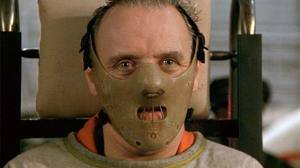 The word drums up horrific images of serial killers, cannibals, and Hannibal Lecter in an old hockey mask. Some shudder at the mere mention of the word, and for good reason in some cases, but is there anything about the way a psychopath thinks that we could use to live a more fruitful, eventful, and less fearful existence? Is there something we could learn from an otherwise twisted sense of reality to better our lives? Author Kevin Dutton believes we can, and he conducted an interview of four different psychopaths –for a book called The Wisdom of Psychopaths: What Saints, Spies, and Serial Killers Can Teach Us about Success– to prove it. “What is a psychopath,” the thesis of this book asks, “but an individual that exhibits ruthlessness, charm, mental toughness, fearlessness, mindfulness, and action.” The psychopath also exhibits a level of fearlessness unknown in most quarters. “Who wouldn’t benefit from kicking one of two of these (characteristics) up a notch?” Dutton asks. The theme of Dutton’s piece, and the interviews he conducted with these psychopaths –he lists simply as Danny, Jamie, Larry, and Leslie– is that fear rules much of our lives, and the fears of what others might think of us. Most of what we hear from others is ninety-percent self-involved gibberish, and psychopaths are no different. Their gibberish receives further damage by their other hysterical rants. Before dismissing them entirely, however, we might want to consider delving into their gibberish –that can border on hysterical at times– to see if they have something to add to our discourse. In doing so, we might gain some perspective on ourselves and learn how fear has rooted itself deep into our decision-making process. Although the patients Dutton interviewed do not appear to relish, or regret, the specific incidents that led to their incarceration, this reader believes that they do appear to enjoy the result. They appear to enjoy the fruits of their actions: our fear of them. “We are the evil elite,” says the patient named Danny. The question this reader has is do psychopaths simply enjoy the idea that we’re fascinated with the freakish nature of living a life without fear, or do they enjoy the fear others have of their thoughtless and spontaneous capacity to cause harm? Fear causes inaction: The patients named Jamie and Leslie received an “every day” scenario by the author in which a landlord could not get an uninvited guest to leave his rental property. The landlord, in question, attempted to ask the guest to leave the property in a polite manner. When the tenant ignored the landlord, he tried confronting the man, but the man would not leave, and the man would not pay rent either. That landlord was stuck between doing what was in his best interests, and doing what he considered the right thing. “How about this then?” Jamie proposed. “How about you send someone pretending to be from the council to the house? How about that councilman go to house and say that they are looking for the landlord to inform him that they have conducted a reading of that house? How about that councilman asks the uninvited guest to deliver a message to the landlord that his house is just infested with asbestos Before you can say ‘slow, tortuous death from lung cancer,’ the wanker will be straight out the door. The point in this scenario, I believe, is that most unsuccessful boxers lock up when considering the abilities of their opponent. They want to knock their opponent out, before the extent of their opponent’s talent is realized in the ring. “Our brains run ahead of us,” Leslie points out. Our fear of how talented the other guy might be gets in the way of us realizing our talent, in other words, and this causes us to forget to employ the methodical tactics that we’ve employed throughout the career that brought us to the bout in the first place. We have these voices in our head, and the voices of our trainers, telling us to knock our opponent out early, before they get their left hook going, while forgetting to work the body and tire them out to the point that our own knockout punch is more effective. The gist of this, as this reader sees it, is that we end up fearing failure and rejection so often that we fail to explore the extent of our abilities in the moment. We care about the moment so much, in other words, that we would probably do better to just shut our minds off and act. If we place a goldfish in a tank, we may see that fish knock against the glass a couple of times, especially early on, but sooner or later that fish learns to adapt to its parameters, and it no longer bumps into the glass. We may believe that there is some sorrow, or sadness, involved in the goldfish’s realization of its limits, but there isn’t. We’re assigning our characteristics to the goldfish, because we know our parameters, and we’re saddened that we can’t break free of them. Even though we have the whole world in which to roam, we stay in the parameters we’ve created for ourselves, because everything outside our goldfish bowl is unknown, or outside our familiar, routine world. Asking for a raise, or a promotion, can be a little scary, because we know that such a request will call our ability into question. The prospect of quitting that job is scarier, and the idea of hitting the open market is horrifying, because we know the limits of our ability will come into play in every assessment and interview conducted. The ultimate fear, and that which keeps us in a job we hate, lays in the prospect of landing that other job for which we are either unqualified, and/or ill equipped to handle. What then? Are we to shut out all those worries and fears and just act, and is it possible for a human to do without some fear? “When we were kids,” Jamie says, “We’d have a competition to see who could get rejected by the most women in a tavern. The bloke that got rejected the most, by the time the last call lights came on, would get the next night out free. What is a psychopath was a question we asked in the beginning of this article. There are greater answers, in greater, more comprehensive articles out there, that spell the definition out in more clinical terms, but the long and short of it is that they’re “don’t care” carriers. They don’t care about the people that they’ve harmed, they don’t care about the pain they caused their victim’s family members, or the communities that their actions alarmed, and they don’t care that they have a greater propensity to harm more people in the future. They may know why they need to be incarcerated, on a certain level, but they don’t care what those reasons are. Naysayers may suggest that empathy, sympathy, guilt and regret are almost impossible to shut off entirely. Caring is what separates us from the alligator, the bear, and just about every other life form. They might also suggest that psychopaths are not as immune to the emotions as they suggest, but that they’re playing to the characteristics of their psychological categorization. It would be impossible to deny this in all cases, as the individual cases of psychopathy are so varied, but it could be said that these people are, at the very least, so unaffected by their deeds that they are not incapacitated by them. We could also say that when casual observers evaluate the characteristics of others, they often make the mistake of doing so through their own lens. We all experience moments in life when we do not care as much as we should, and some of us that experience moments of apathy achieve a level of exaggeration that others might characterize as psychopathy. These moments are few, however, and loosely defined as psychopathic. Yet, our own limited experience with the mindset suggests that there are limits, and we find the exaggerations listed in Mr. Kevin Dutton’s book as incomprehensible, yet these psychopaths find it just as incomprehensible that we are so inhibited by the exaggerations of the opposite that we are left incapacitated by it. These psychopaths may currently live confined in the world of a psychiatric institute, and they may be preaching to us from an insular world in which they don’t have to deal with the real world consequences of pursuing their philosophy. They do believe that they’ve lived a portion of their lives freer than we’ve ever known, however, and that the only reason they’re locked up is that they may have been granted a little bit too much of a good thing. Source: Dutton, Kevin. Wisdom From Psychopaths. Scientific American Mind. January/February 2013. Pages 36-43.